BIG, SHINY, COPPER, OR SMALL – YOU ARE STILL WORTH IT ALL! It makes cents to know your worth! Little Copper Penny is sad because all the other coins say pennies are worthless. Luckily Grandpa Wheat – who has been around for a very long time – knows just how Little Copper Penny feels and exactly what to say to cheer him up! 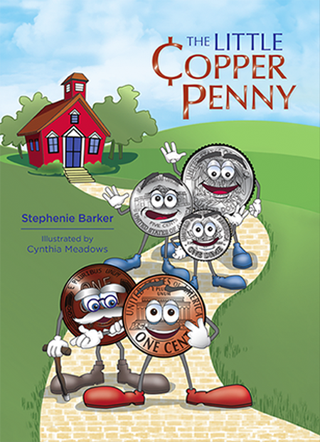 A charming story about accepting who you are, Stephenie A. Barker's The Little Copper Penny not only makes counting fun but also reminds you to know your worth, no matter what others say. Join Little Copper Penny and Grandpa Wheat for a memorable rhyme that will help you see that no matter who (or what) you are, you have value! Have your own penny story to share? Give us your two cents! Every book will be personalized! 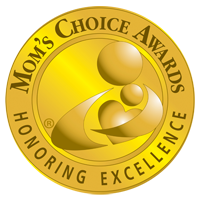 All Dec. 2017 Orders MOM’S CHOICE GOLD AWARD WINNER!